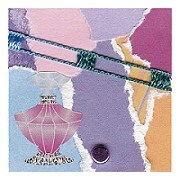 Serendipity Squares are a wonderful way to embellish your scrapbooking pages and cards. They are extremely versatile and can be adapted to any theme. And best of all, they are simple to make and are great for using up all those scrap bits of paper you have lying around. 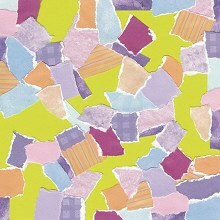 To make serendipity squares, all you need is some cardstock and scraps of patterned paper. When choosing your cardstock I suggest using one that you either have too much of or don't like. In the end it will be completely covered up so you won't be able to tell what colour it was anyway. Look through the pile scrap paper you have collected as leftovers from other pages. Do any themes or colour combinations stand out to you? Match up various colours and patterns. Try to select at least five different designs. You can also use different coloured cardstock to complement your choices. Usually when I am making serendipity squares, I like to follow a mono-chromatic theme so choose about six patterns from the same colour group. This time I have decided to go for something more colourful so have selected various patterns in pink, purple, blue and orange. Before you begin, decide how many squares you want and how big you want them to be. This will indicate what size piece of cardstock you need. This will be your base. For this demonstration, I cut a piece of cardstock 16cm by 16cm so that I would end up with 16 squares measuring 4cm x 4cm. You are are now ready for the fun. Take your pieces of scrap paper and rip them into squares and rectangles. Glue them haphazardly all over your base cardstock. Make sure you overlap them as the idea is to eventually cover the whole piece. When gluing them down, make sure you cover the entire underside with glue. This will be important when you later cut your squares. As you progress, you will see your design starting to take shape. Try to mix up the colours so each piece doesn't overlap with another piece of the same pattern. Vary the shape and size of your pieces to add interest. Try not to make your pieces too big. Remember, you are making small squares and you don't want to loose the effect when you cut them. 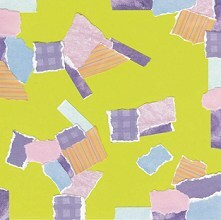 When you have finished covering your cardstock, you can sit back and enjoy your new design. But not for long! You still have to cut your squares! Be very careful when cutting and make sure you have a sharp blade. You are cutting through a lot of paper, and many cutters will not handle the thickness or the fragile nature of your object. I use a metal ruler and a craft knife. I still have to go over the cut several times to make it clean. When cutting, also make sure you keep your glue on hand so you can stick down any stray pieces that come loose. It's now up to you what you do with your squares. 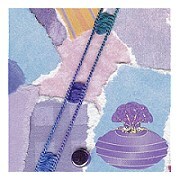 You can matt them for immediate use on your layouts, or you can further embellish them. 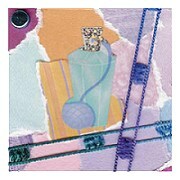 These squares were embellished with Sandylion Shiny Perfume Bottles stickers, ladder fibre and metallic brads. After adding the stickers and brads, I just wrapped the fibre around the squares in different ways. The squares were then matted on white cardstock, ready for use on my layouts. 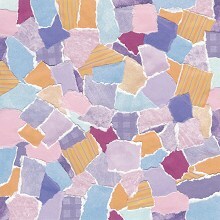 Serendipity squares offer so much versatility to inspire scappers of all levels. Try incorporating some in your next layout!